Welcome to Adamas Antique Jewellery where you will find an extensive collection of the finest Antique and Diamond Jewellery. Also an extensive rang of pre-owned Jewellery, Loose Diamonds and pre-owned Watches. Adamas Antique Jewellery offer's high-quality Diamonds and fine jewellery at outstanding prices. We aim to provide a fast and efficient service and will ensure you get the best at competitive prices. If your commitment with someone special deserves a unique piece of jewellery, the quality of our jewellery is worthy of that commitment. We make every attempt to satisfy the occasion, customer and recipient. A satisfied customer is and always will be our top priority. All purchases are carefully presented and beautifully gift wrapped. 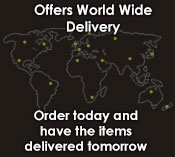 Our site is regularly updated and we are always happy to locate a specific item for you. You are very welcome to view and collect in person from our showroom.